I think we all know who Ana White is. 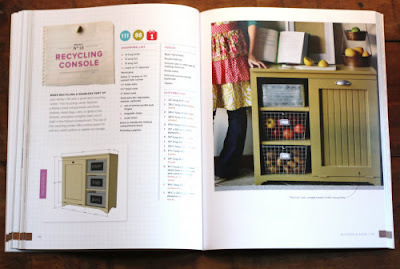 Purveyor of ana-white.com - the amazing website where she shares her amazing furniture plans. Ana is a self taught furniture designer and builder- an inspiration for women who are out to tackle furniture projects of their own. 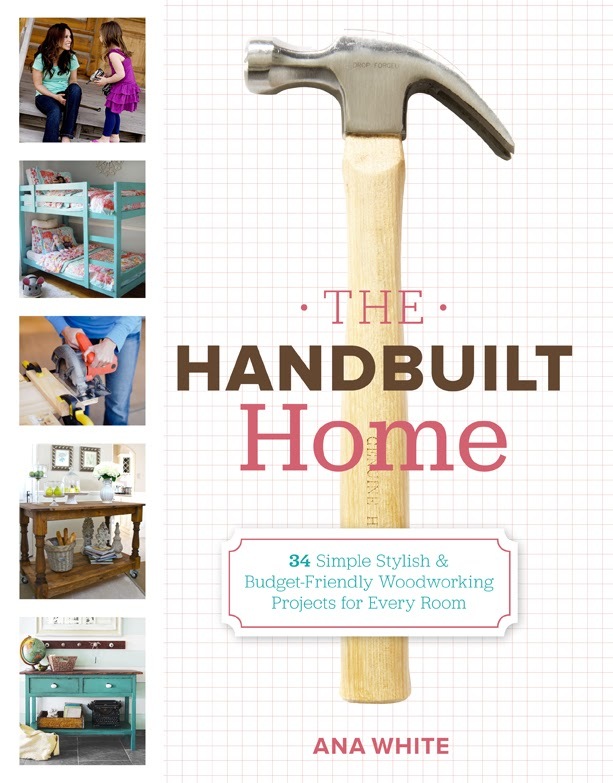 She has now come out with a book filled with some of her most popular furniture plans called "The Handbuilt Home". 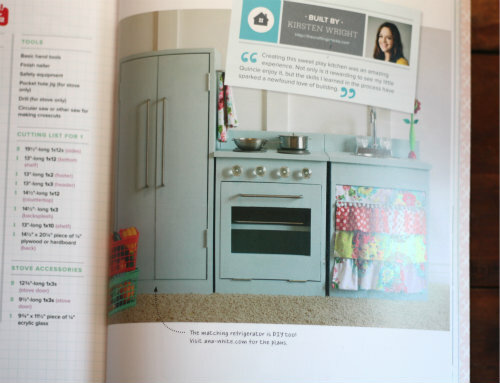 The book is filled with plans for every room in the house; they range from easy to more complicated. The plans are laid out in such a way that makes them easy to read and follow; great for builders of any skill level. And each plan has lots of pictures and step by step images along with tips on getting started, cut and wood types. Today I am offering you the chance to win a copy of your own! The generous company marketing the book has given one lucky reader a chance to win. Giveaway starts today and ends Monday November 5, 2012 at 8AM. 1. Leave a comment below about what room in your home could use a new piece of hand built furniture. 3. Share the giveaway on Twitter or on your blog! 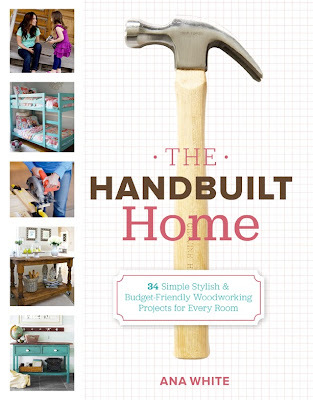 Disclaimer: 1 winner for Ana White's book "The Handbuilt Home".I have not been compensated for this giveaway. US residents only please (sorry!). Winner will be chosen using Random.org and will be contacted shortly afterwards. If the first winner does not respond the runner up will be contacted. We've actually got big plans for using Ana's plans and building a dining table before Christmas! My family room could use a new piece of furniture! We have a lot of things that could be built around here. Just got to take that leap. I would love to have a buffet for our dining room! I love to read your blog! 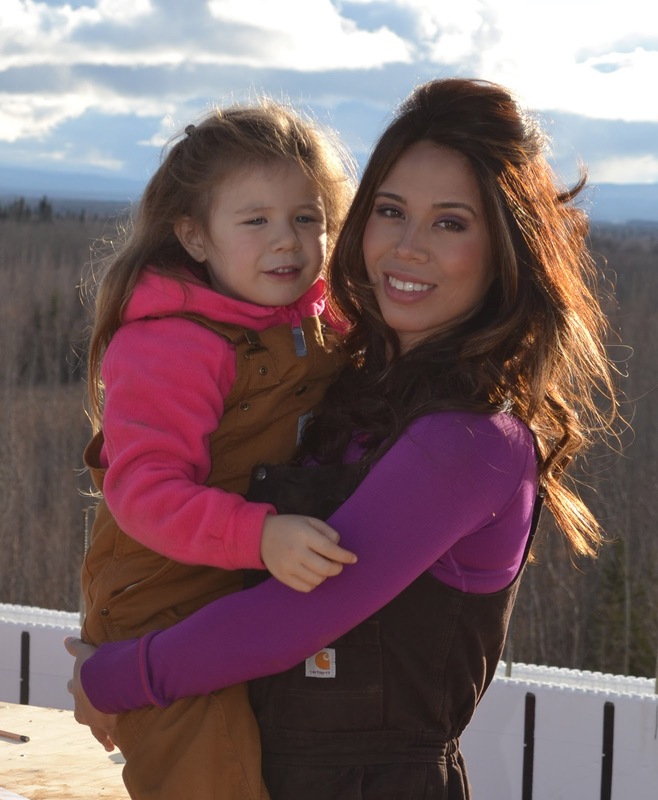 It is so nice to see pics of your family. I have used Ana's blog for ideas. She has a easy but efficient way to build just about anything. I would love to use her book.